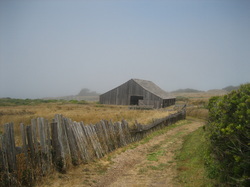 "Designing Conservation at the Sea Ranch," Environmental History (2013) 18. Through an analysis of the 1960s architectural design of The Sea Ranch second-home community, this essay examines the emergence of a new eco-consumer ethos with four main aspirations: balance, pastoral preservation, landscape blending, and anti-elitism. Each facet of this new way of thinking was conveyed by the layout of the structures and landscape. In multiple case studies, encompassing local, state, and transnational battles, this work analyzes how multiple groups and interests expressed competing perceptions of the coastal landscape and nature in the mid-twentieth century. Beginning on the urban coast of Los Angeles where civil rights activists protested the construction of a yacht marina replacing a popular shoreline among diverse beachgoers, the project moves north to the rural coastal zone of Sonoma County where private landowners and local activists debated the definition of conservation. This study then takes up the entire California coastline in the statewide battle over the California Coastal Zone Conservation Act, a political campaign that replayed at the state level the local issues raised throughout California. The manuscript concludes with Californians building seaside homes across the border in Baja California, despite Mexico’s constitutional law prohibiting foreigners from owning land on the coast. 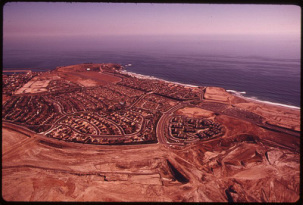 From the local neighborhood to the international border, this work considers the coastline as a space understood as both public resource and private property, at once nature and wilderness, urban and suburban. Turning the Tide tells the story of how nature, politics, and culture intersected at a moment when Americans were once again debating what constituted “rights” and environmental conservation in their society.